Back in March, Bill Simmons asked me, “In your dream scenario, what would you write about?” There was really only one answer: “I would move to Vegas and write about my life there.” To the horror of every civilized aspect of my life, he green-lit the idea. So, at the beginning of August, I moved into a one-bedroom apartment on the Las Vegas strip. For the next year — bank account willing — I will be reporting back to you, the Grantland reader, about what it’s like to live and flourish (gulp.) in America’s haven for making mistakes. The decision was easy, but the actual act of settling in and self-identifying as someone who actually lives in Las Vegas? That’s been terrifying. I don’t have a chair in my apartment, but I do have an IKEA box that houses an unassembled chair. I’ve been sitting on that because I can’t figure out how to use an Allen wrench. My washing machine has been converted into a hamper. I insisted on holding on to my Massachusetts driver’s license, like it was some sort of proof that I didn’t truly live in a place where you can — and probably should — get drunk walking down the street in broad daylight. I will be writing about sports, gambling, football, and whatever else happens here in Vegas. As bankroll, I brought a few thousand dollars that should have been put towards my college loans. Although there aren’t many bets in Vegas that are +EV,1 I’ll attempt to use sabermetrics and good timing to try to find some. I’ll get into the city’s weird holes and write about the largesse of the Strip. In all of my reports I’ll try to delve into the economic, political, and criminal decisions that have turned modern Las Vegas into America’s laboratory of shamelessness and mutant capitalism. Vegas is where America goes to avoid real life, but nowhere’s more broke than Vegas. I’d like to figure out why. If I have any hope of hitting the vaunted 56 percent win rate on my sports bets, I’m going to have to think like a professional. Vegas has been using statistical analysis to help set lines and consequently make money for decades. Since I come from a football statistical background and consider myself conversant in the advanced analytics overtaking baseball and basketball, you better believe that I’m going to be employing every single bit of nerdness I can to try to get the slightest edge on the rest of the market. At the same time, I can’t be a computer; I have to recognize the emotional swings and qualitative data that the rest of the market is going through and push towards the opposite direction. Remember when nobody on earth thought the Seahawks had a chance against the Saints at home in the wild-card round and bet the line up to 10.5 points? That’s exactly the sort of scenario in which I’ll need to trust the numbers and remember that home teams really don’t lose by double digits all that often, let alone teams with historically great home-field advantage like Seattle. If you’ve been betting on preseason games, please seek professional help. But for those of you who are looking for something to wager on during the preseason, there is a healthier alternative. Some of my favorite betting opportunities are the NFL over/under bets that get posted by sportsbooks before each NFL season. They’re tantalizingly simple: Every team gets an expected win total, and you can choose to bet the over or the under on the team hitting that win total. Vegas sportsbooks love these bets because they don’t have to pay out until after Week 17, so they get to hold onto your money for four months. On the other hand, if your real NFL team is terrible, you get to support a second team who you would otherwise have no emotional interest in whatsoever. Since those initial lines were released, though, things have changed. 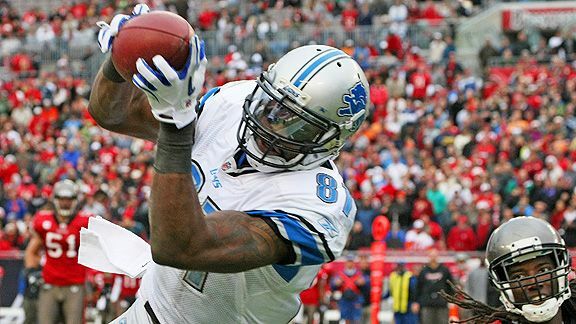 Enough action has been placed on the “over” line for the Lions that the odds have moved pretty significantly. While the 7.5-win line remains the same, as of Monday morning, the “over” line on the Lions is now at -130. While you could get even odds on the Lions in June and win $100 with a $100 bet, you’ll win only $76.92 by betting $100 on them today. The previously favored “under” line, meanwhile, has become an underdog bet at +110. Now a bet of $100 on the Lions to win fewer than 7.5 games would return a profit of $110. And if you somehow placed $100 on the Lions to go over 7.5 wins on that opening line and then placed $100 on them to go under 7.5 wins on Tuesday morning, well, you have a +EV bet. No matter what happens, one of your bets is going to win. If the Lions win eight or more games and hit the over, you’ll win your money back, since you bet a total of $200 ($100 on the over and $100 on the under) and won $200 (your $100 bet on the over and the $100 in profit you were promised for winning). If they hit the under and you had them at +110, you’ll win $210, giving you a $10 profit. If we assume that the over/under is a 50/50 shot, your EV is five bucks. Not that exciting at the $100 level, but add a few zeros to that total for professional bettors (or “sharps”) and remember that it’s a guaranteed break-even bet with the possibility of winning some money. Anticipating the lines and the way people are going to bet is the best way — maybe the only way — to make money on sports betting. So over the next few weeks, we’re going to track how the NFL over/under lines move during the preseason. With one week of the preseason in the books, let’s take a look at the lines that have shifted the most and analyze the reasons behind the movement. We’ll check back in a couple of weeks, after two more rounds of the preseason (and, presumably, a few big injuries), to see how things have changed. Lines for this week’s column come courtesy of the sportsbook at Aria. This is one the whole family can figure out. As a reminder, the Eagles signed Nnamdi Asomugha, Cullen Jenkins, Ryan Harris, Ronnie Brown, and traded for Dominique Rodgers-Cromartie. As you might suspect, this boosted their odds while harshing the market for their NFC East rivals. The under on the Giants line of 9.5 wins started at -115 and has fallen to -140, while the Redskins went from being at even money to finish under 6.5 wins to -130 to finish under six wins. Note that both the Eagles’ and Redskins’ lines have shifted by a half-win. That might not seem like a huge difference, but it can be enormous in a season that holds just 16 games. Before, a 10-win season for the Eagles would have been a push, returning the bettor his/her investment without any profit or loss. Now it’s a loss. Since the last strike season, in 1987, only 21.5 percent of teams have won 11 games or more. 11.4 percent of teams, more than half that total, have won exactly 10 games. A lot of things have to go right for a team — even as one as good as the Eagles — to win 11 or more games in a season. Having the ability to push on a 10-win total is an enormous advantage for the bettor. While the Eagles certainly look like world-beaters right now, this is a perfect example of the market falling in love with a series of moves. This is still a team with holes on defense and a weak offensive line, and there’s probably some value in betting against the consensus here. On the other hand, occasionally you try doing this and end up betting the under on the 2007 Patriots. let’s get to Seattle later. Although the Rams’ line has shifted from seven victories to 7.5 over the past month, the market seemed to be a lot higher on them at the beginning of the week. On Monday morning, the Over on the Rams was at -120 and the Under was even money; by Wednesday afternoon, those odds had flipped. Nothing obvious happened to the Rams over the past couple of days that would have made their odds decline, so it seems likely that some big-money bettors wagered on the Rams finishing at 7-9 or worse. They start the season with a really rough schedule, but the Rams’ winning eight games or more in a division that weak sure looks like a healthy bet to me. you get the idea. Well, they signed Johnathan Joseph to shore up the secondary and brought in Wade Phillips to revitalize the defense as part of a switch to the 3-4. Sure, it could marginalize Mario Williams (the team’s best player) by moving him to outside linebacker. But they almost surely can’t be as bad on defense as they were in 2010. Their Pythagorean record, which uses points scored and points allowed to project what a team “should” have won, was a full game better than their actual record. And with that offense, well, they could win nine games with even a below-average defense, right? Houston seems like one of those teams for which you could plug in any 2011 final record from 4-12 (Matt Schaub gets hurt, Williams flops at linebacker, the division gets tough) to 12-4 (everyone stays healthy, corner Kareem Jackson steps up in his sophomore year, they win a lot of shootouts, the Titans and Jaguars collapse) and I’d believe it. Even at 6.5 wins, the Seahawks’ odds keep falling. On Monday, that over was at +130. Now it sits at +145. Although they beat the Chargers in the preseason opener on Thursday, it wasn’t pretty; Tarvaris Jackson looked awful at quarterback, key left tackle Russell Okung sprained his ankle, and the Seahawks left some of their first-team players in for the entire first half, a sign of how far they have to go in installing their offense under new coordinator Darrell Bevell. Would you want to bet on the combination of Tarvaris Jackson and Charlie Whitehurst winning seven or more games this season? It’s become increasingly difficult to find anyone who would say yes to that question. Just about every barometer of luck we can come up with went Chicago’s way last year. The Bears were 6-3 in games decided by a touchdown or less, a win rate in close games that almost never repeats in subsequent seasons. (Chicago was 3-5 in those games in 2009.) Their 11-5 record was undercut by a Pythagorean record that suggests they should have won only 9.5 games. The great majority of the team stayed healthy. The rest of their division should be stronger in 2011, as the Packers will be healthier, the Lions’ young talent will be maturing, and the Vikings get a better quarterback and a full season with a coach the players actually like. If you think this is all statistical geekspeak that bears no resemblance to what happens on a football field, it’s your prerogative. But there’s a reason sharp bettors believe in this sort of stuff and apply it to football — historically, they’ve been good leading indicators of rises and falls in team performance. -1.5 wins is an enormous swing, owing to the replacing a competent quarterback (Carson Palmer) with either rookie Andy Dalton or overmatched veteran Bruce Gradkowski. Their first-round pick was A.J. Green, who plays a position (wide receiver) where even the most talented players tend to struggle as rookies. They lost Joseph in free agency to the Texans, and they’re in one of the league’s toughest divisions. Their only saving grace is a weak schedule outside of the AFC North, as they get to play the AFC South and NFC West. That opening line is de rigueur from Vegas for a consistently elite team like the Ravens; essentially, it’s saying, “We know they’ll be good, but we’re not sure exactly how good, and we’ll be happy to collect the vig3 while you guys figure it out.” It’s hard to figure out why the odds have moved against the over, since there’s no comparable team getting a sudden leap in the other direction; the aforementioned Bengals line has sank, the Browns line is mostly stagnant, and the Steelers have also seen plenty of action against them, as their similar 11-win line has gone from an opening Under of -120 to -150. That means that betting $100 on Pittsburgh, the most consistently dominant franchise in football, to win fewer than 12 games would have returned a profit of $83.33 a few weeks ago. Now, it would return only $66.67. As for figuring out why Baltimore’s line has seen lots of action, the Ravens weren’t particularly active in free agency. They released a bunch of veterans to clear up cap space, but those veterans were unproductive skill-position players such as Derrick Mason, T.J. Houshmandzadeh, Todd Heap, and Willis McGahee. The public tends to overvalue the impact of losing names like that. On the other hand, the Ravens “should” have won only 10.6 games last year, per their Pythagorean record, and they were 8-4 in games decided by a touchdown or less. They’re also one significant injury to Joe Flacco away from starting rookie sixth-rounder Tyrod Taylor at quarterback, and while the likelihood of that happening might be as low as 2 or 3 percent, that could be enough to steer bettors away from the Ravens and towards “safer” bets like the Patriots. Next time out, I’ll hopefully be writing while sitting in a real chair. I’ll update you on how the lines have moved after two weeks of preseason games, benchings, and injuries, and reveal the misguided bets I’ve decided to put my own money down on. As always, the Vegas warning applies: assuming I’m still alive in two weeks. Expected Value, a term essential to the concept of betting with any reasoning beyond hope. A +EV bet is one with which the bettor will make money more often than he/she loses money. Lines are given in terms of $100 bets, so even odds would mean that the bettor would need to risk $100 to win $100. The -120 line means that the Lions were favored to go under that 7.5-win total, and as a result bettors need to bet more to try to make a significant profit. To win that same $100 with a bet on the Lions, the bettor would need to risk $120. A $100 bet would net only $83.33. Vig is short for vigorish, the small percentage of the line that a house expects to take in from well-laid-out lines. Let’s say you and your buddy each go to the casino and place $110 to win $100 on the Ravens with those -110 odds; you place it on the Ravens to go over 11 wins, and your buddy goes under. The Ravens finish 9-7. The casino’s collected a total of $220 from you and your friend, but it pays out only $210 to your friend. That leftover $10 is the vig.